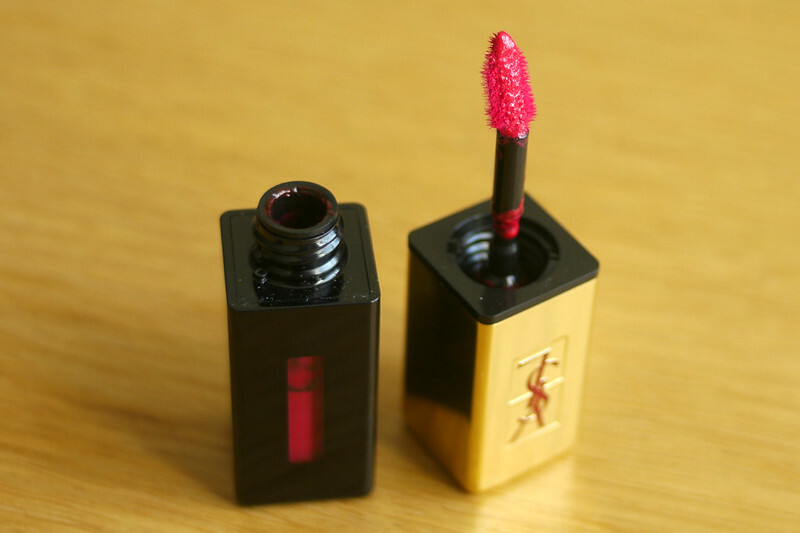 When the YSL Glossy Stains were first released I was very eager to try them out because as a lip product fanatic any new lip innovations are very exciting. When YSL came out with the Baby Doll Collection earlier this year I was totally taken in by the gorgeous Rose Baby Doll shade Glossy Stain and decided it was about time I tried them out for myself. I wanted to show you the two above photos so that you can see how different this shade can look depending on the light and how much product you apply. 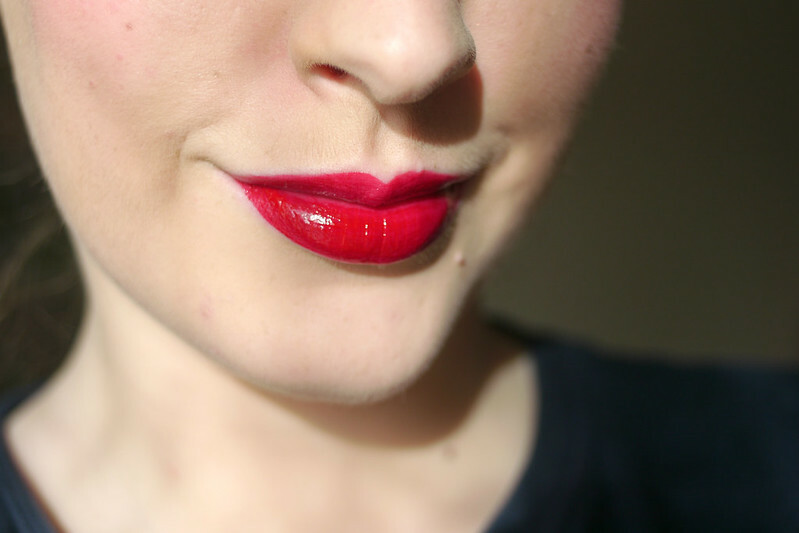 Glossy lips are not something I usually go for, I prefer a satin or matte lip (the windy Irish weather is a big factor in this). That being said the first time I tried this I completely fell for it. 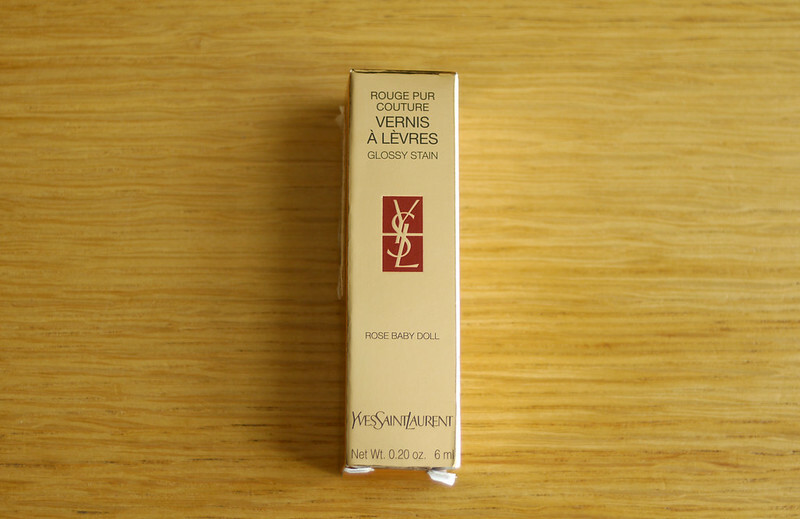 The packaging is gorgeous, as you would expect from YSL. The gold embossed lid combined with the practical black hard plastic tube that has a little window through which you can see a glimpse of the product inside. The applicator comes out with just enough product for one thin layer. The incredible rose scent may not be for everyone but I personally love it, it reminds me of my beloved Stella perfume. It took me a while to perfect the application of this. I find it works best it you apply a thin layer first and follow that up with another layer perfecting the edges. It works best on well moisturised lips but make sure you don't have a lot of lip balm on underneath or you may find it doesn't go on as well. 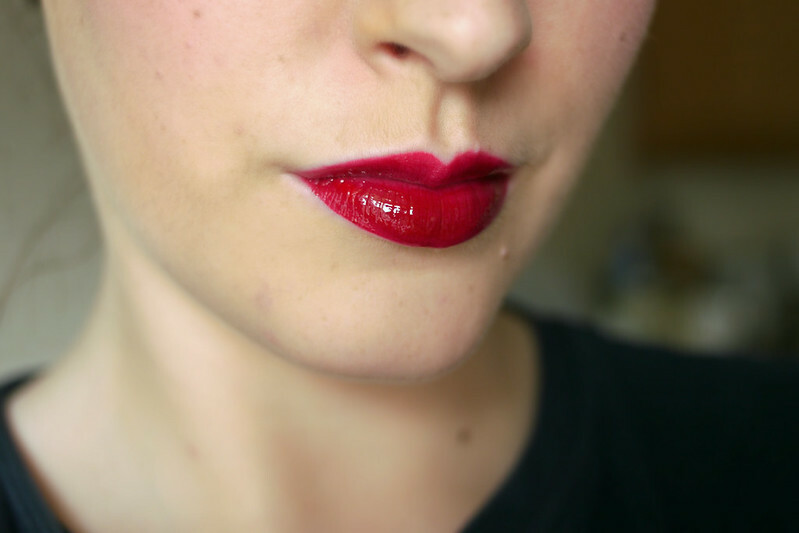 Resist the urge to rub your lips together as this totally messes up the application. Once applied it stays on incredibly well and I just love how it wears throughout the day. I wore this to an event where I was drinking and eating and it lasted so well and wears into an imperfect distribution on the lips that I just love. I wouldn't top it up either, if you're out and about bring a small packet of wipes with you and remove the product and start again otherwise I've found it just ends up looking worse. You might ask is that not a lot of trouble for a lip product? 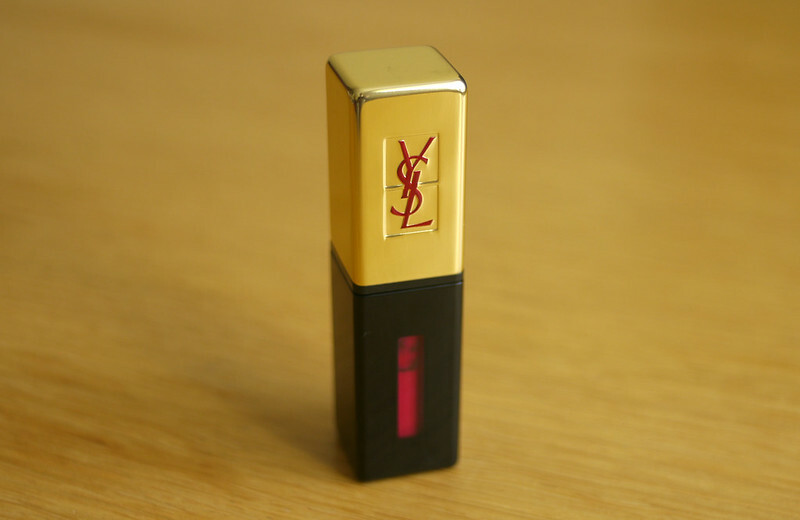 To that I would say just try it on at a YSL counter and then you'll see why it's worth it. That looks absolutely gorgeous! Love the colour! Yeah I'm addicted now! Can't wait to get another shade! this looks utterly FLAWLESS on you!! I really want to get one of these! You would love this Kailey! This shade would look fantastic on you! I know they're expensive, but so worth it I think! As a treat! The colour changes so much, I love how different it can look! I LOVE these YSL shades they're simply beautiful! This looks incredible on you! It gives you such a full and glossy pout that looks perfected and polished, while still being glamorous :) The colour is absolutely perfect on you as well :) The closest thing I have to these YSL lip glosses are the L'Oreal Colour Caresse Wet Shine Stain but I'm not sure how similar the formulas are ... I had some application issues with the L'Oreal but I still liked the almost translucent candy dimension and glossiness that it imparted.